Good afternoon fellow alkaline water fans, Hercules here, back again bringing you my latest alkaline water machine review. It’s another bright sunny late summer day, and I’ve already inhaled my fair share of pH 9.0 water today. In this article, I share my Tyent UCE-11 Turbo review. Before I chose to review the UCE-11, I ran into a few alkaline water machines with bad reviews. So, I decided to put together a list of alkaline water machines to avoid, which I will share with you the moment after I publish it. Anywho, let’s take a look at the Tyent UCE-11 Turbo. I’ll tell you right off the bat that the UCE-11 is the superior choice for under counter water ionizers and perhaps the best overall alkaline water machine in the world. I previously reviewed the Cosan/USA Life Water Pure Hydration ionizer. That unit showed me the importance of adding molecular hydrogen to alkaline water to boost the antioxidant and anti-aging benefits of the water. According to Tyent, they are the only company in the world to blend hydrogen water and alkaline water to bring you a water ionizing machine that can produce all-natural alkaline hydrogen water. In my review below, I discuss all the most important features of the UCE-11, why they are important, warranty information, pH range, number of titanium plates, and what current owners are saying about their machines. What are people saying about the UCE-11 Ionizer? For the past several hours, I have been looking over Tyent USA as a company and their UCE-11 ionizer. I can tell you that Tyent doesn’t just talk the talk, they walk the walk. They have the most certifications I’ve seen for any company. The UCE-11 is jampacked with amazing features, and it offers the most attractive touchscreen I’ve seen since I began reviewing alkaline water machines. Please be aware that the UCE-11 is the most expensive unit I’ve reviewed thus far. However, it’s also far and away the most impressive ionizer I’ve come across. Tyent stands behind a no questions asked lifetime warranty that that has “no stipulations” or “fine print.” In my opinion, a lifetime warranty is mandatory for any unit priced at more than $1,000. Air Water Life offers a lifetime warranty on its units that are priced below $1,000. The smartphone-inspired LCD panel on the UCE-11 is simply stunning and will make any kitchen look high-tech. Guests will love to come over to use your ionizer. It will also perk up your kitchen. The touchscreen is comparable to what one could expect on an iPhone. If you are using a computer, check out the sidebar image. Cell phone and tablet users can scroll further down to see the attractive screen in the photos. The UCE-11 has a “Hydrogen Boost” button that allows you to instantly boost the molecular hydrogen in your alkaline water. Say hello to incredible anti-aging benefits. The Tyent ionizer uses two internal filters that need to be changed roughly every six months. There’s no need to purchase a three-stage pre-filtration system. One filter is made from high-grade activated carbon while the second filter is made from composite ceramic. The filters are rated at an astonishing .01 micron. That’s the same rating used for kidney dialysis machines! The ceramic filter also adds electrolytes to your water. This ionizer produces water in the pH 1.7-12 range. That’s the largest range I’ve seen for any unit. If you plan to use acidic water for household cleaning and cosmetic use, the UCE-11 will certainly get the job done. The maximum ORP is -1050mV. The lower the ORP, the more antioxidants you get in every glass. The UCE-11 has the lowest rating I’ve seen so far. Units typically produce a max ORP of -850mV. Considering this is an under counter water ionizer, you do need basic tools to get the job done. Tyent provides several instructional installation videos. However, it may be worth hiring an expert to make sure is everything is running smoothly. On the plus side, there is no conversion kit needed to install the ionizer. The UCE-11 features an impressive 11 plates in its ionizer. The plates are solid/mesh medical grade titanium that is dipped in platinum multiple times. The plates are then baked. You get a mammoth 385 square inches of surface area. The Tyent ionizer has a whopping 55 different settings to accommodate all types of incoming water. The energy efficient design also ensures that is minimal wastewater. 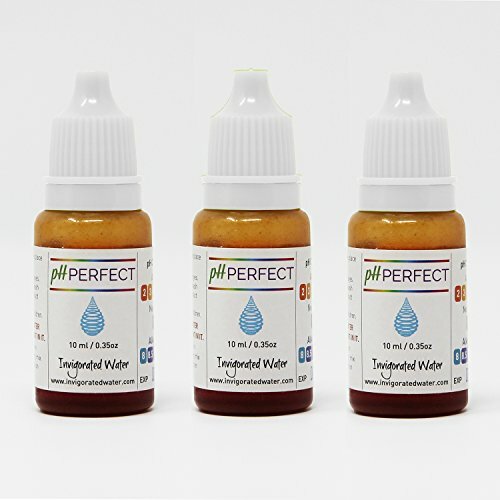 There are 7 base water settings with a “Turbo” option – 3 alkaline levels, 3 acidic levels, and one neutral level. Here’s the cool part. Similar to the way you used to preset radio stations in your car, you can preset each button on your machine. For example, if you want the “Alk 1” button to be pH 9.5, you can set it to that. Tyent advertises 99 preset options per button. The machine’s dimensions under the counter are 14″ Length x 5.375″ Width x 14″ Height. The faucet’s dimensions are 2″ Diameter and 11.5″ Height. The unit only weighs a little more than 12.25 lbs. Keep in mind, the unit will be installed below the sink. The UCE-11 has an automatic cleaning function. The flow rate is approximately 1 gallon per 2 minutes. The machine uses anti-bacterial technology. Good news for international buyers, the unit is 100-240V. It’s been featured on E Channel’s Million Dollar Homes and has won the Water Ionizer of the Year award every year since 2012. As mentioned in the feature list, you will need tools to install the UCE-11 under the sink, but don’t let that scare you away. Tyent makes it as easy on you as possible because you won’t need a conversion kit to install the ionizer. You can click here to see Tyent’s instruction video page for the Tyent UCE-11. 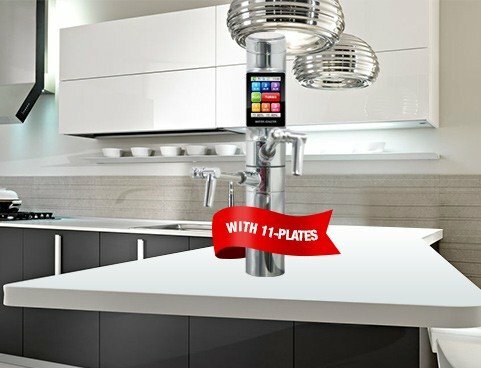 Keep in mind, the ionizer goes beneath the sink, and the faucet above the sink features a smartphone-inspired LCD panel. You have complete control of the water at your fingertips. The problem with other alkaline water machines with under the sink installations is the lack of a touchscreen. With the UCE-11, you won’t need to go under the sink to choose the water you want. As long as you have the basic tools needed for the job, Tyent will provide all the parts you need to complete the installation. If you run into any problems, Tyent has an entire website devoted to customer support and a toll-free number you can call. Tyent makes it easy for you to change the filters with an easy-open option that allows you to install the units from the front. No need to reach around to the back of the ionizer or deal with any cords getting in your way. Compared to other ionizers I’ve reviewed, the replacement filters for the UCE-11 are more expensive. Remember, there is no need to buy a three-stage pre-filtration system. The Tyent filters are rated at .01 micron, which is the best I’ve seen on any machines. The lowest I’ve seen before the Tyent is .02 micron. Again, .01 micron is the same filtration used for kidney dialysis machines. Strangely enough, Tyent doesn’t provide the exact life of the filters like I’ve seen other more affordable units provide. Several sellers said the filters last for about 6 months or 950 gallons. You can check out the replacement filters by clicking here. 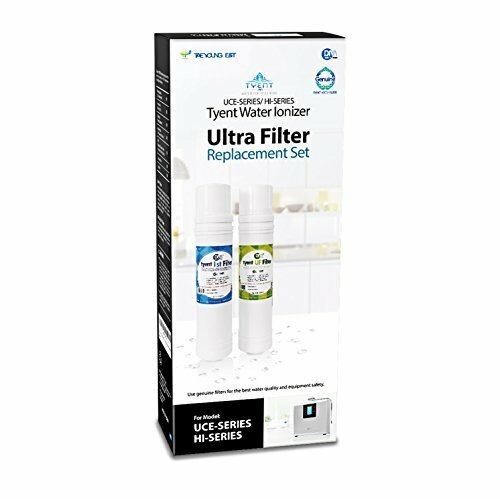 Despite the lack of filter life information, Tyent does indeed use the best filters I’ve seen in an electric alkaline water machine. The Cosan/USA Life Water machine provides the best filtration I’ve seen in a non-electric ionizer. The UCE-11 provides .01 micron filtration which is the same measurement used in kidney dialysis machines. Be prepared to get the best tasting water you’ve ever had, especially when you take advantage of the alkaline hydrogen water setting. By this point, we all know that the UCE-11 is perhaps the best alkaline water machine currently available, and it’s still cheaper than the Kangen. While features are always awesome to read, the more important part of the review is to hear what current owners of the ionizer are saying. Does it live up to its lofty expectations? One woman has already purchased six Tyent ionizers for members of her family, and they have “endless” stories about how it has improved their health. A friendly and attentive staff who is always willing to help with a smile. Another man said his unit has been going strong for two years now, and he and his wife can’t imagine living without it. The ionizer is easy to use. One family doesn’t leave the house without a gallon of Tyent water. They also reported all the uses they have for the different pH levels including beauty, cooking, and cleaning. One man noted that he has gotten consistent pH test results after a year of use. This means you don’t have to worry about the unit saying one thing and doing another. Someone recommended storing the water in insulated stainless steel bottles when on the go because light and oxygen can diminish the water’s strength. An incredibly clear and crisp water that is almost tasteless. One man reported lower blood pressure, and his wife got rid of a pesky rash that was covering her whole body. A family reported “extraordinary” benefits to their entire family’s health. One person said friends keep coming over to fill up jugs of water after they discovered the energy boosting and hydration benefits. The acidic water can zap zits. If you have the budget for it, the Tyent is the best and most premium alkaline water machine you will find recommended on my site. 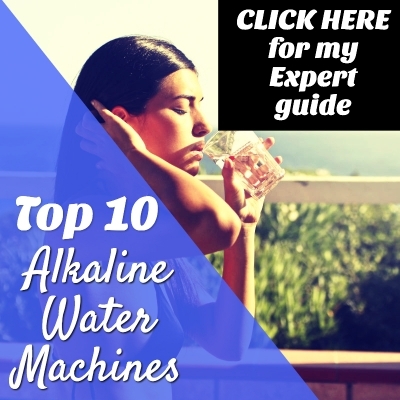 I spent countless hours researching and reviewing each of the units on my site to create a top 10 list of best alkaline water machines. I’ve seen other sites recommend units with bad reviews such as the Life Ionizer. The UCE-11 has it all, and it’s still cheaper than the Kangen machine. 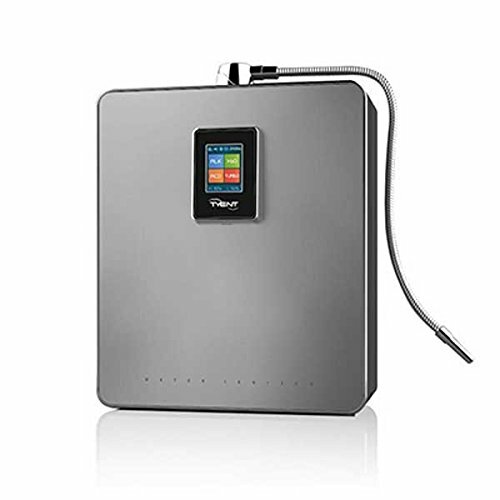 The .01 micron filter, beautiful touchscreen, and 11 medical grade titanium plates are what sell me on this water ionizer. Despite the higher price, you will still save money in the long run compared to buying bottled water. Imagine a home where the whole family can stay in tip-top shape. That’s what you get when you buy a premium alkaline water machine. Keep in mind, you get a hassle-free lifetime warranty with the UCE-11 Turbo unit, which means a lifetime of pure alkaline hydrogen water.